With a little help from Philly tech scenesters back in May, former Chief Administrative Officer Rebecca Rhynhart scored the Democratic Party’s nomination for the Controller’s Office, unseating incumbent Alan Butkovitz in a move that Philly Mag called a sign of the Democratic machine’s waning power. 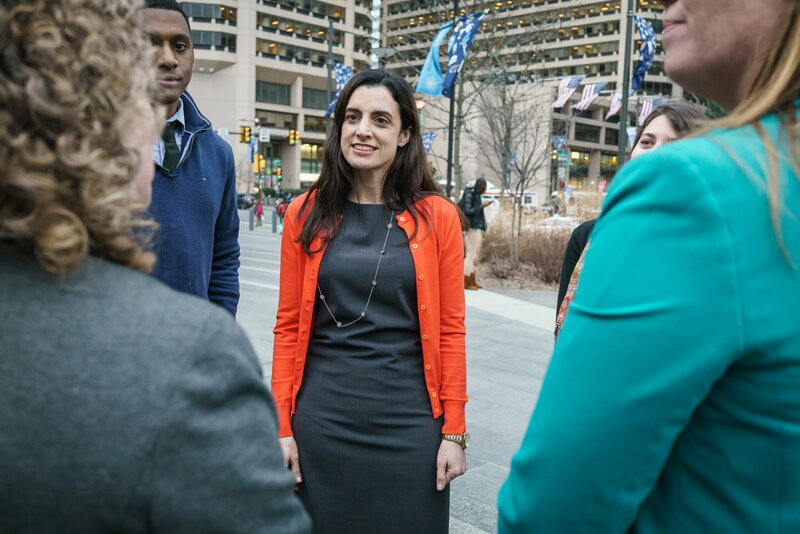 But the job wasn’t done for Rhynhart, 43, who served as city treasurer under Mayor Michael Nutter before joining the Kenney administration: she still had to win the thing. And last night, with a whopping 82 percent of the vote, the Democratic beat out Republican nominee Michael Tomlinson and became the first woman to be elected to the Controller’s office.